For years, China has served as the "factory floor" for global production, driving down prices for consumers worldwide. But, unfortunately, China's rapid and chaotic industrialization has put it on a collision course with the rest of the world. 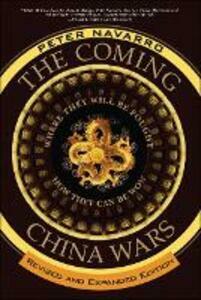 The Coming China Wars was the first book to systematically cover all those conflicts: political, economic, and environmental. Now, in this new edition, Dr. Peter Navarro has thoroughly updated the entire book. You'll find new chapters on the danger posed by China's flood of defective products and contaminated food; China's dramatic military expansion and the rising threat of a "hot war"; China's space program and its profound strategic implications; China's growing suppression of human rights and free speech; and much more. The coming China Wars will be fought over everything from decent jobs, livable wages, and advanced technologies to strategic resources...and eventually to our most basic of all needs: bread, water, and air. Unless all nations immediately address these impending conflicts, the results may be catastrophic. 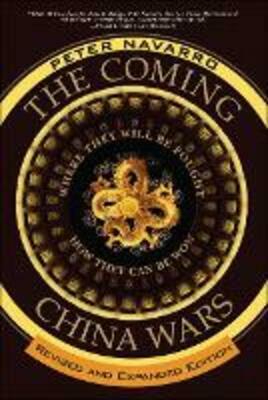 Like the First Edition, this book demands that we think much more deeply about how to stop the coming China Wars, laying out hard choices that must be made sooner rather than later. This new edition offers even more policy recommendations, including original contributions from several of the world's most important China experts.